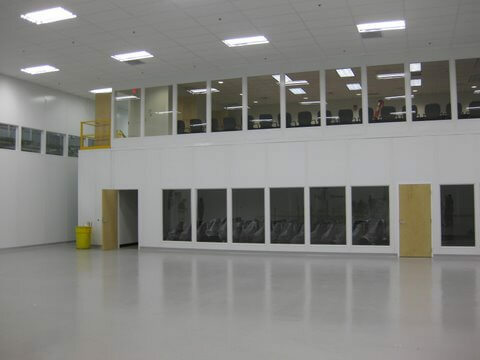 Control rooms typically serve as the focal point of whatever facility they are in. Depending on the facility, a control room can house one to over a hundred different employees, working together towards a common goal. However, depending on the industry, control rooms can have a few different functions. Typically, the operators will be monitoring a variety of different information streams to determine the status of the facility or mission. Being able to efficiently and accurately read the data is the most important part of their duty as they are typically the ones tasked with making the most critical decisions on the project. These high stakes typically make control rooms into a stressful and tense environment. This post will go into the different uses for control rooms in five different industries and sectors. In an airport, the modular control rooms are typically going to be referred to as air traffic control room or an air traffic control tower, but they still serve the same function. Air traffic controllers have the responsibility of overseeing and authorizing the air control, flight clearance, and ground control for the airport. Typically for airports, most of the information being monitored is through direct visual observation. 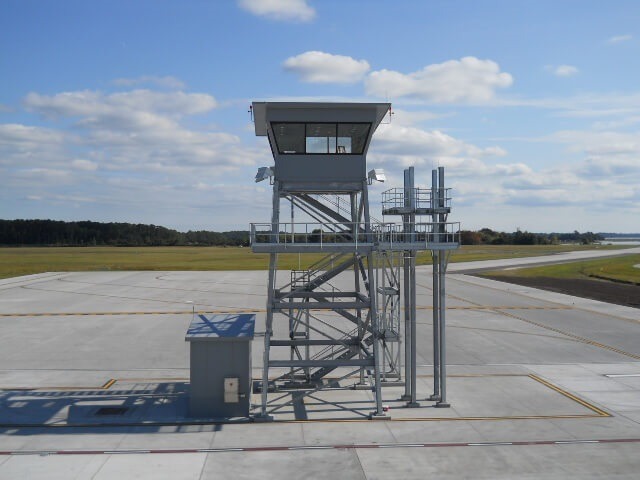 That is why airport control booths will typically be sitting on a high tower and be equipped with a 360-degree field of vision. In larger airports, radar surveillance systems are used in order to account for an increased number of incoming and outgoing aircrafts. Like many control room operators, air traffic controllers can easily find themselves in high-pressure situations. And in an environment like an airport there can be a lot of distractions. For this reason, the control room must provide a calm and quiet environment in order for the ATC to keep as clear of a mind as possible. Power plant control rooms provide a very important duty for not only the power station itself but also the public as a whole. And in power plants, there are a number of different variables to maintain. First and foremost, the control room operators must ensure the facility is running smoothly. In most cases, this ensures that there are no accidents at the facility. This is perhaps most important in the case of nuclear facilities where the possibility of a meltdown can have catastrophic consequences. 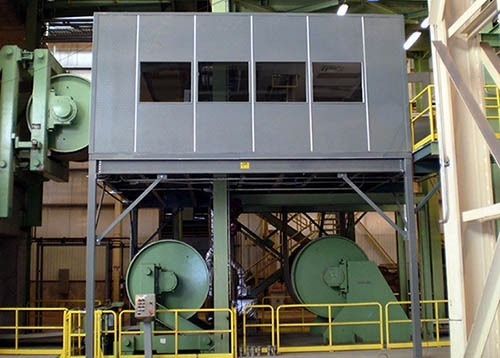 In this facility, constant monitoring of coolant levels is required to ensure overheating does not occur. However, the security of the facility is another major factor accounted for in a power plant control room. As seen attempted by a variety of super-villians in movies, power plants are often seen as potential terror targets in real life as well. Potential tampering or sabotage of a facility could have similar results as a full blown nuclear meltdown and because of this, security is one of the top priorities in power plant control rooms. Military control rooms can be in almost any type of environment and can be focused on anything from Navy Seal missions to army simulations. However, the United States military has a unique need when it comes to their control rooms, sometimes they need to be mobile or ready to be assembled at a moment’s notice. This is because a global military threat can appear at a moment’s notice and military leaders can be stationed at a practically limitless number of areas across the earth. In these cases, very special control rooms are required. Control rooms that are labeled as Sensitive Compartmented Information Facilities or a SCIF. SCIFs are a very special type of structure that are typically used by the US Government or high profile government contractors to ensure the highest level of information security. The most famous of these rooms is the “Situation Room” located in the White House, made famous by the photo of the same name, featuring the Obama’s National Security Team during Operation Neptune Spear to kill-or-capture Osama bin Ladin. Ultimately, these control rooms have the same objective as the previous two. To allow for the clear and efficient interpretation of infostreams for the operators inside. For major transportation facilities like drawbridges or canals, a control room can be required to regulate the traffic going through the facility. These control rooms will typically have at least one operator working there 24 hours a day, 7 days a week. As such, their control rooms are often designed with ergonomics in mind, Providing a highly comfortable office environment. This helps combat fatigue at odd hours of the nights. Additional, design choices incorporate the acoustics, illumination and equipment placement to allow employees of the control room to move around the space as easily as possible. Employees in this space control the flow of traffic and day to day operations of the facilities. Aside from the safety of the transportation facility, the operators’ main goals is to increase transportation efficiency and minimize overall facility downtime. These control centers handle incoming calls from the public, who are in need of emergency assistance. These centers typically take calls within a specific geographical area in relation to police, medical, fire, and rescue emergencies. Similar to the transportation facility control rooms, these dispatchers can find themselves working long hours, working at any time of day or night, and are susceptible to eye strain and back problems due to sitting at the desk for long periods of time. To help combat this, these facilities provide ergonomic desks, chairs, and layout to keep operators as comfortable as possible in what is already a potentially high-pressure job. Additionally, special equipment and eyewear to protect against eye fatigue. 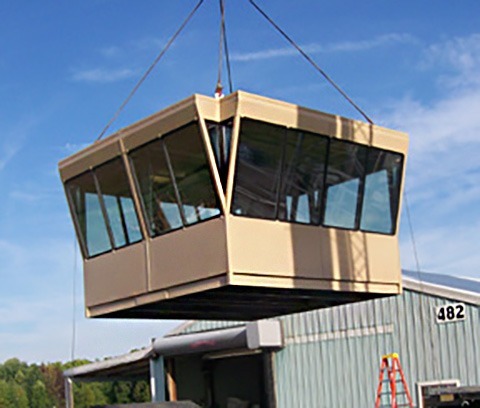 Panel Built, Inc. is a manufacturer of modular control rooms. If your facility is in need of a quick and affordable control room solution, give us a call at 800.636.3873 or send us an email to info@Panelbuilt.com. 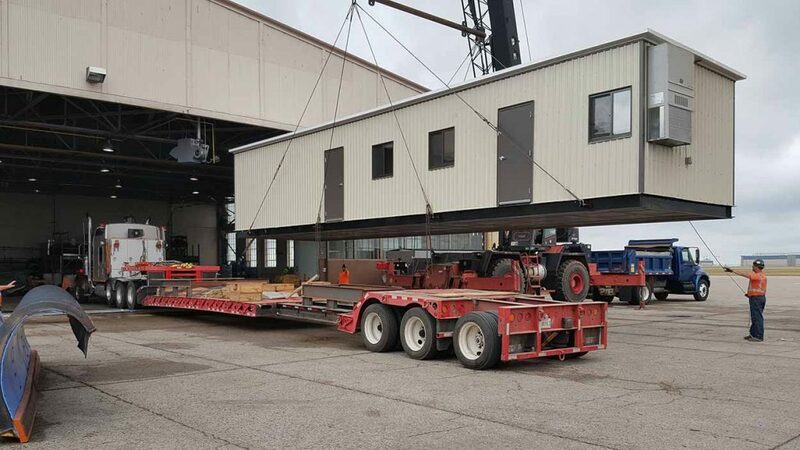 We provide a convenient reusable and relocatable design that provides your facility with flexibility going forward in the future.